The True Story of a Government-Ordered Book-Burning in America: Wilhelm Reich’s Books and Journals, and What Was in Them? 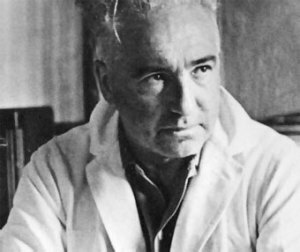 In 1956 and 1960, the US government carried out the burning of scientific books and journals by Austrian-born physician and research scientist Wilhelm Reich. Ironically, in 1939 Reich had emigrated to the US, fleeing the Nazis’ burning of his books. What was in those books that was deemed so offensive as to be worthy not merely of being banned, but of outright destruction? Franklin and Marshall College Historian of Science James Strick has delved in depth into the laboratory notebooks and other records in Reich’s archives, in an attempt to assess the common narrative that Reich’s experimental work was mere pseudoscience. Strick focuses on some of Reich’s first experimental work, from 1934-1939, in which the famous psychoanalyst believed he had stumbled onto the origin of life from nonliving matter. In his new book from Harvard University Press, Wilhelm Reich, Biologist, Strick argues that these “bion experiments” are careful experimental work, up to the technical standards of the time, and even breaking new ground in areas such as time-lapse microcinematography. So whatever conclusions one comes to about interpreting Reich’s observations, it’s no longer possible to dismiss them as pseudoscience. Filmmaker Kevin Hinchey, at work on a documentary film about Reich’s work, will join Strick in this presentation to give some background on how the later confrontation developed between Reich and the US government, with the result that his work on the bion experiments was burned along with many other volumes. This event is free and open to the public. | Registration is required. To register, click here.